This week 'Forever And A Day' - the follow up to Anthony Horowitz’s first James Bond continuation novel 'Trigger Mortis' - arrives on the shelves and I can say that it’s been worth the wait. Horowitz originally said after 'Trigger Morris' that he would not be coming back to pen another Bond - he had far too many other projects on the horizon. However, whatever enticement precipitated his change of heart, it was certainly worth it because Horowitz has delivered perhaps the best continuation novel since Colonel Sun. Actually, scratch that, it’s better. Horowitz’s prose always shared Fleming’s flair, however, for 'Forever And A Day', it’s hard at times to pull the two writers apart. Yes, the book does contain some found Fleming material, but if you didn’t know which part is Fleming and which is Horowitz, you’d be hard-pressed to tell them apart. Suffice to say, there were times when reading this book that I felt that I was reading Fleming; not a pastiche or paean, but the real deal. A part of this is Horowitz’s ability to immerse his readers in the environment, his sense of place is pitch perfect, just as Fleming’s was, with his journalistic, economical prose. In 'Forever', Horowitz keeps the majority of the action in one locale (in this case the French Riviera of the 1950s), with all the glamour that era conjures up. There’s an almost Hollywood Golden Age sensibility to it, with moments of Wilder and Hitchcock competing with each other, 'To Catch A Thief' finding its way through 'An Affair To Remember' to arrive at 'Sunset Boulevard'. Then there’s also Horowitz’s ability to emulate Fleming’s sense of the grotesque and bizarre. There are echoes of Mister Big, Le Chiffre, and Auric Goldfinger in his obese villain Scipio, just as there are traces of Blofeld’s garden of death in the surrounding flora of his secret lair in the wooded mountaintops. And when it comes to Bond’s almost obligatory torture, Horowitz has you (like Bond) tied to your seat. It’s a rare skill when a writer can have you feeling this anxious when the ultimate fate of the protagonist is already so well-established. Horowitz has had fun here crafting the newly-minted double-o-seven, as well. This novel really is the origin story that the cinematic Bond found in Casino Royale, but Fleming’s novel actually casts Bond as an already seasoned agent. In 'Forever,' we get to see Bond given his killing number, to be with him on his second, more visceral kill that earns him his licence. We also get to see the origins of some of his preferences - the shaken, not stirred Martini, the Morland Special cigarette, both of which (along with some other skills that Bond will put to use in the future) are bequeathed to him by Sixtine, a wonderfully assured femme fatale, whose life experience is in sharp contrast to Bond’s naïveté. It’s true that some of these references feel a little forced in the context of the narrative, but what writer would pass up the opportunity to create their origins? And it’s more than made up for by the scenes that Bond and Sixtine share. Their first encounter at the casino is pure Fleming and whilst other writers might struggle with the Fleming staple of cheating at cards, Horowitz makes it fresh, engaging, and interesting. Sixtine is a woman who knows her own mind, what she wants, who she wants, and has no problem whatsoever in establishing herself in a particularly male-dominated world. However, these strong women have always existed and she never feels anachronistic. There’s plenty of action and suspense, too. Bond actually does some spying, which is refreshing and when it comes to letting the brakes off and getting into the action, there is a car chase that - for all of the cliches of overturned carts and scattering chickens - will leave you grinning like a fool and wishing it had gone on longer. Admittedly, not everything works (the villain’s scheme is but a variation on one we have read many times before), but so much of 'Forever' does work that these minor sins are forgiven without thought and pale when compared to the novel as a whole. 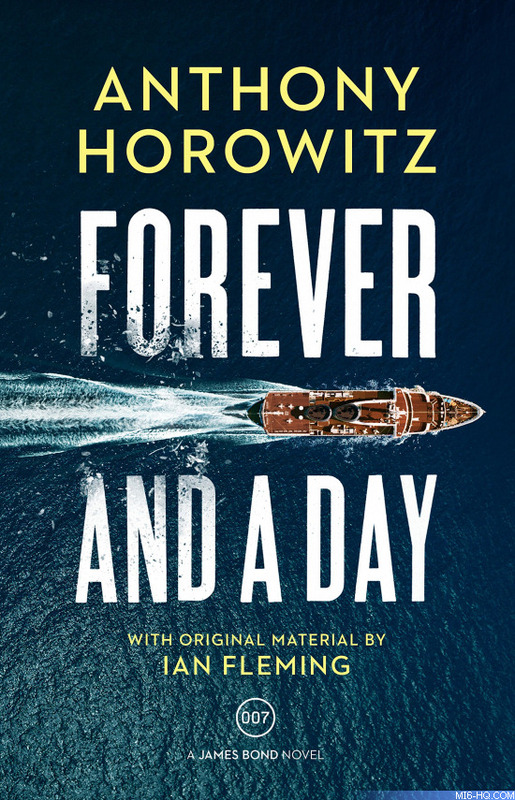 It is extremely difficult now with so much having been explored in Bond’s world, to find anything fresh, anything to excite, to tread without setting off the traps, but Horowitz has achieved this in 'Forever And A Day'. It is not only a worthy inclusion into the stories of our favourite secret agent, it is also one of the very best. The opinions expressed in this review are those of the author and do not necessarily reflect those of MI6-HQ.com or its owners.